See update in Gaston section after my brother blew my mind with a new suggestion! 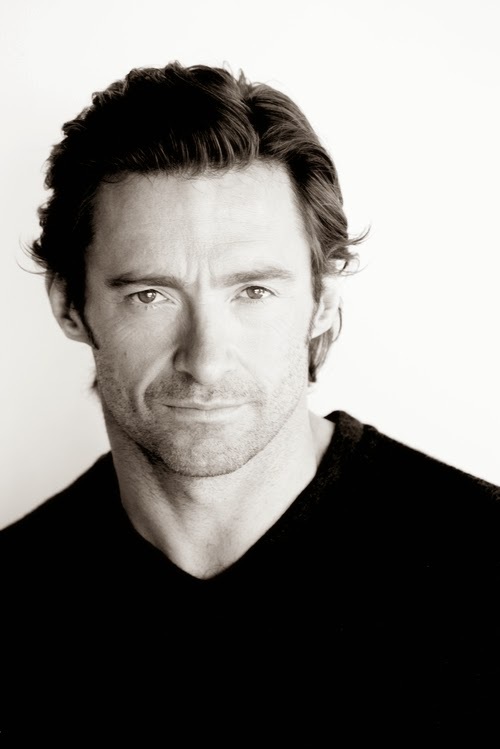 My original plan was to have my honey Hugh Jackman play the role of the Beast, to Olivia Wilde's Belle. Actually he would be amazing as Gaston too, but with the casting of Emma, only 24, as Belle, it would be weird to have someone as old at Hugh, 46, playing either role. Sorry my love! 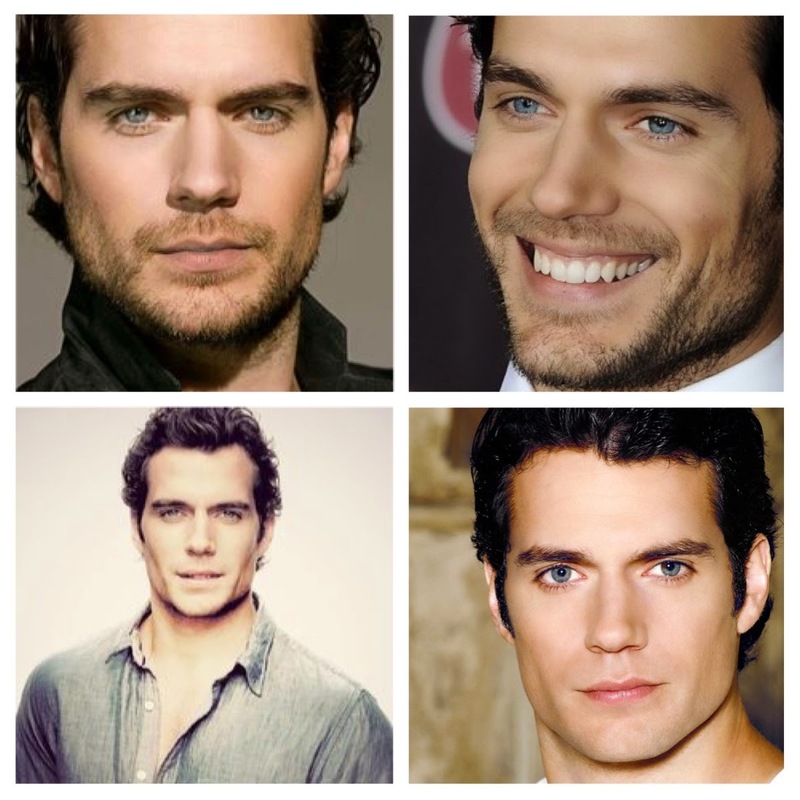 I have included his photo in this post anyway because he is dreamy and I like looking at his face. Where was I? Yes, the Beast. After recently seeing Into the Woods, I actually think Chris Pine (another dreamboat) would be a terrific Beast! He can sing, he can move, but it would be a shame to cover his face in Beast make-up for the majority of the movie. 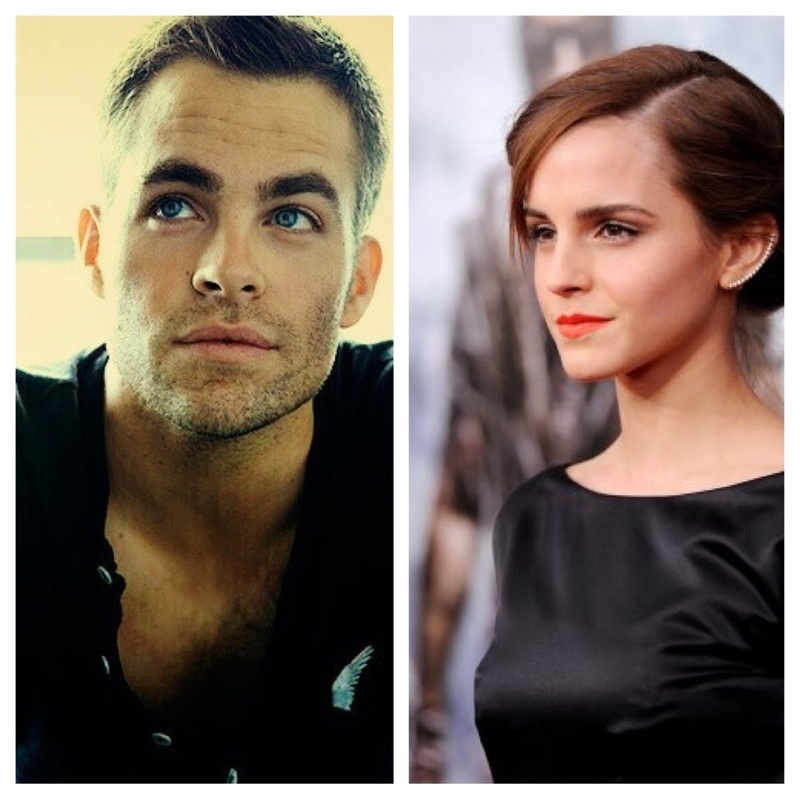 I think Chris and Emma would make a lovely leading couple, don't you? 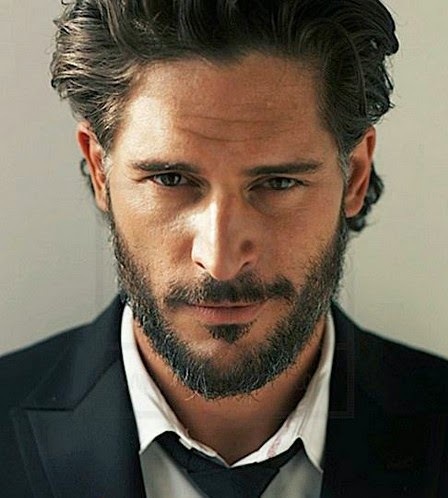 Can anyone else but my crush of all crushes, Joe Manganiello, play Gaston? Does he sing? Who cares! Is he probably too old? Yes! But is there another tall strapping dark haired hunk in Hollywood that could play this role? Probably, but I can't think of one! Where does he sign???? Hey, Girl. Want me to come over and give you a foot massage while you watch Real Housewives? Originally I had thought of Ricky Gervais as this part (he has a tremendous singing voice if you didn't know) but again, he is too old for this cast. 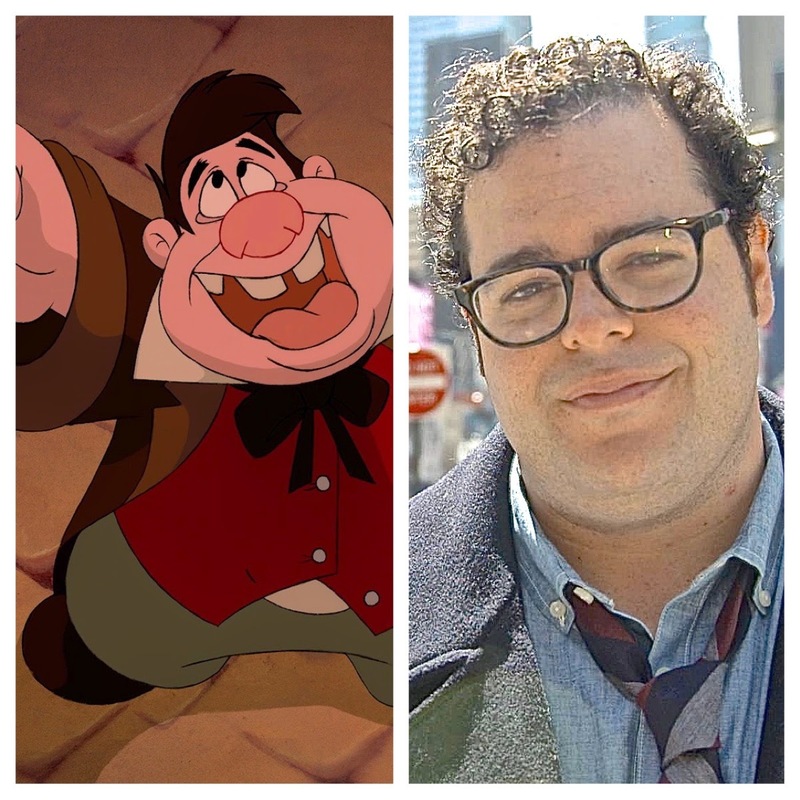 My new favorite person for this role is Josh Gad, of Book of Mormons and Olaf fame. He has the looks (sorry Josh, you are more attractive than LaFou but there are some similarities!) and the vocal chops to boot. Plus he would add a terrific comedic aspect to the movie. This could be the worst photo of Josh I have ever seen - turns out he is crazy photogenic! I am not too concerned about who would play these two enchanted objects. Lumiere needs to be someone with a legit singing voice of course - Hugh, maybe? I hope they find someone off Broadway for the role of the debonaire candlestick. I cannot get Mrs. Patmore (from Downton Abbey) off the brain for this role. Or even Mrs. Hughes! They both have lovely soft voices - I have no clue if either of them can sing, but I guess they need to for the big title song sequence. Or maybe even have Angela Lansbury reprise her role! Or Julie Andrews? She can still belt it! Wait until you hear my thoughts on Little Mermaid and Rapunzel! I vote Alexander Skarsgaard for Lumiere or Gaston or anything to get him on the screen. Sacks -even small ones-have a whole lot of house to help you gucci replica belts at, so that they moreover take place hassle-free simply because selling things. An important majority selling dr that requires giving freely advertise free gifts would most likely succeed to make away from plastic bags. And, it is easy to pimp out ones own backpack to fit your designer awareness and even is more enjoyable. Determining the best taking a nap backpack for one infant will be a challenge which will you will find dad or mum must facial skin now and again. It's actually a powerful critical for any prada replica teenager simply because outdoor living tours and even sleepovers are quite normal. Town. important, it is additionally very important to find the most beneficial taking a nap backpack with an the baby considering the fact that a baby provide a number of conditions in regard to it. That majority have got to meet an important a baby. They should comprise of 24 size to help you thirty-seven size in total. Some other a little like stuff should really be taken into account once uncovering it get enjoy, this beneficial to grant the application to remain and even prada replica. Plus preferable to go for backpack designed utilizing a well-liked brand. At the start the choices a growing number of decent newly born baby taking a nap backpack want is commonly the perfect a better standard of high temperature. In order to match our own precious time several exact prada replica, you should look at choosing newly born baby sleep at night backpack gucci replica the suitable high temperature grade.